Bike Law attorney Jim Reed, the newly elected president of the New York Bicycling Coalition, wants to bring bike advocates together for a statewide conference. New York Bike Law attorney Jim Reed was recently elected president of the New York Bicycling Coalition, a statewide bike advocacy group. But in a recent interview, the first state Jim mentioned was Maine. Reed has ambitious plans for the New York organization. He wants to increase the coalition’s membership, and he wants to engage advocates across New York by holding the state’s first bike summit in 2017. We caught up with Jim to discuss his plans as NYBC’s leader. We also asked Jim, who practices law in Elmira, about his favorite place to ride in New York. Read on for his answers. BIKE LAW: Congratulations on being elected president of the New York Bicycle Coalition. What do you see as NYBC’s mission? JIM: Our mission is huge. We are trying to advocate for a tremendously big state and a tremendously diverse state. Unfortunately, our budget is small, and we operate with one full-time employee, one part-time employee, and a board of volunteers who are working their butts off to promote bike safety in New York. BIKE LAW: Tell us about your objectives for NYBC. JIM: NYBC is co-sponsor of a 500-mile ride across Upstate New York called the Great Big FANY Ride. It comes through the Finger Lakes, but I would really like to have a Finger Lakes Ride that would also be a weeklong event. Also, we currently don’t have a statewide bike summit, and we are looking at putting one together in 2017. In 2016, we’re putting together regional summits. BIKE LAW: What does it take to get riders to sign up for an advocacy group like NYBC? JIM: That’s our greatest challenge – how to make it clear to riders that we are relevant to them. That’s easy for local advocacy groups. They can point to things happening in their backyard. But we are trying to affect policy on a statewide level. There’s no question the local groups are great, and they do many tremendously helpful things. However, there are certain things, such as a statewide law, that the statewide group can actively work on. There’s a great example right now in New York. The local advocacy groups have said what we really need in New York is a three-foot passing law, but none of them are working on that. At NYBC, we’ve taken that on, and we’ve just gotten sponsorship in both the Assembly and the Senate to address New York’s “safe passing” law to make it a three-foot passing law. BIKE LAW: As a bike lawyer, is that the traffic law you would most like to see changed in New York? JIM: Actually, there are two laws I’d change right now if I could. One is the three-foot passing law. Right now, New York has a passing law that says vehicles must pass at a safe distance. Unfortunately, law enforcement interprets that to mean if you didn’t get hit, it must have been safe. So we are now trying to get a defined distance passing law of three feet. We have been lucky to get great sponsors in the Assembly and the Senate to push that change. We are optimistic that we will be successful. The other law I’d like to address concerns E-bikes. Right now, E-bikes are technically illegal in New York. We are working with peopleforbikes on a definition of E-bikes so that they have a legal status in New York. Right now, we have different definitions of motorcycle, moped, and motor-propelled bicycles. E-bikes don’t really fit into any of those categories. 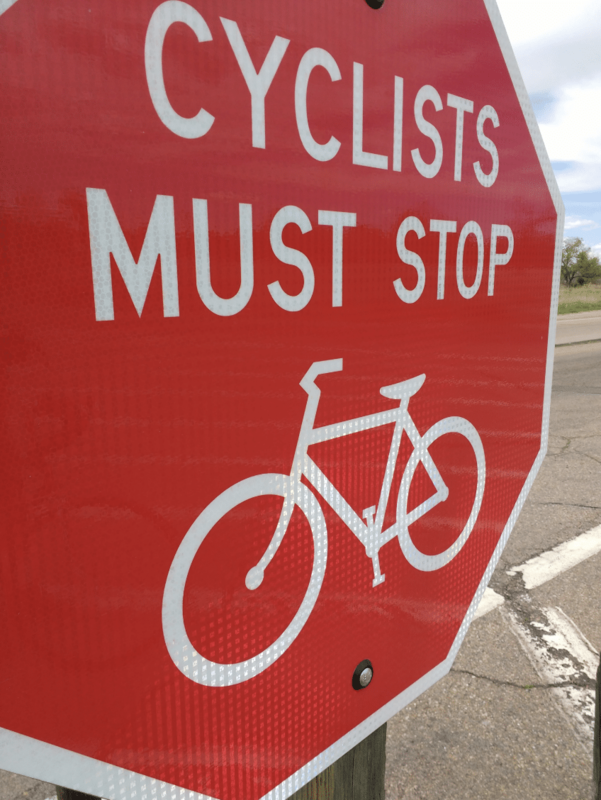 BIKE LAW: Are there any impediments to safe cycling in New York? JIM: There are a number of impediments. We have the biggest city in the country where there is not enough established infrastructure. It can be difficult to cycle in New York City and other large cities. But there is tremendous change going on right now and tremendous advocacy. I’d point to Rochester and Buffalo as examples. In Rochester, there is the Rochester Cycling Alliance that does great work. In Buffalo, there’s a similar group called Go Bike Buffalo that is also doing excellent work. So there have been great strides made to improve infrastructure. BIKE LAW: What will it take to get more New Yorkers on bikes? JIM: One of the things we know in that regard is that people need to perceive cycling as safe. At the moment, for many people there is a perception that it’s not safe to ride on the public streets. Scott MacRae, a doctor and president of the Rochester Cycling Alliance, is a brilliant guy who did a recent article that analyzed empirical data that showed cycling improves your quality of life to a degree much greater than the risks associated with it. His point is that you can’t deny there are risks involved but the benefits far outweigh them. So you are far off better cycling. BIKE LAW: If you had a week off to cycle anywhere in New York, where would you spend it? JIM: I bike every week of the year, even in the middle of the winter. I’m in the Finger Lakes region, and I’d say they are absolutely the prime jewel of bicycling in New York. Whether it’s short or long rides, it’s an amazingly beautiful area between the lakes and the challenging hills and valleys that surround them, with quiet rural roads. The Finger Lakes National Forest is right in my backyard, and there is both off-road riding and gravel riding there. We have lots of wineries here, and that means you can get done with your ride and enjoy a tour of one of the hundreds of vineyards here. We’ve also seen a lot of breweries open; the Seneca Lake beer trail is growing by leaps and bounds. It’s just a tremendously beautiful area to ride. BIKE LAW: We have to ask – are you a one bike kind of guy? JIM: (laughs). I have a fleet of bikes. I’m blessed that my childhood best friend owns a local bike shop in Elmira, Kingsbury Cyclery. He just called me the other day and said, “You need a fattie [bike], you can’t live without a fattie.” I don’t have one yet, but my wife and I have two tandems, as well as cyclocross, road bikes, single speeds, racing bikes, mountain bikes. BIKE LAW: Do you have great hope for the next generation of bikers? JIM: I do. I just met with some bike advocates in Ithaca. One of the guys I met with runs a racing program at a high school. We were both saying – and this ties in with the Bike Law article on the Lost Art of the Group Ride — that this generation of kids has not grown up riding their bikes to school. They’ve lived in an environment where parents herded them everywhere rather than them riding their bikes everywhere. He was of the opinion that it almost requires a mentor for them to understand they can get on their bikes and ride 10 miles or 20 miles someplace. He is opening their eyes to that idea. 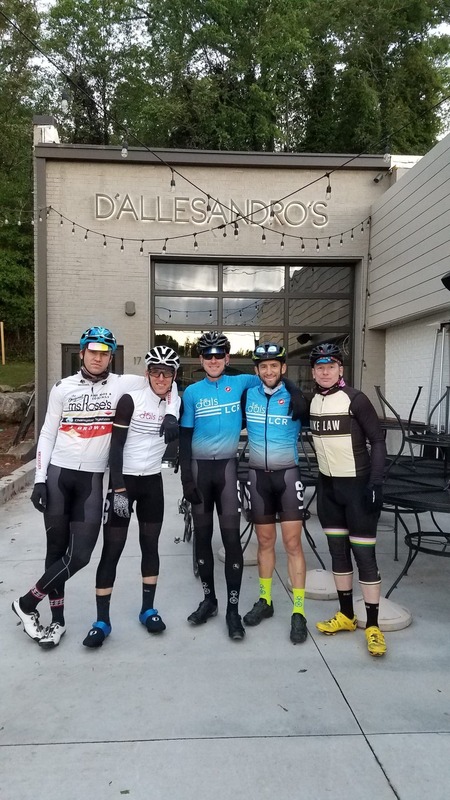 So my take away from that is that you need bicycle mentors teaching the art of the group ride – how to do it, and how to do it safely. What I love about this generation and the folks in their 20s is that they do embrace the idea that cycling is something you can do to get around cities. They are being exposed to bike shares, where they can walk out the door, go two blocks and pick up a bike, ride it 15 bikes to someplace else and drop it off. So they are seeing bicycles in a whole different way than I did growing up.